Sebring.com - Sebringcraftbeer - We Are Sebring FL, Podcasts, Classifieds, Events. General admission includes: Entry, cup to sample beers at all tents, small bites from local restaurants, live music. VIP admission extras: VIP Lounge with private bar inside the Circle Theater, private bathrooms. VIP After Party. Designated Drivers ($15): Entry, water and soda tent, small bites from local restaurants. With your admission ticket, you receive your very own sampling cup, available only at our event! Also, included is our booklet with event map and listing of all craft beers served with a brief description. A Special Thanks to the CRA for sponsering the event! 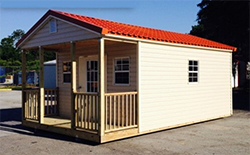 Designed for people who need a shed for storage, but want something with a little more style.